China Aluminum Die Casting Lamp Cover manufacturer: Aluminum Alloy Street Light Cover, Electrophoresis, Black Oil Sprayed, used as lighting components. 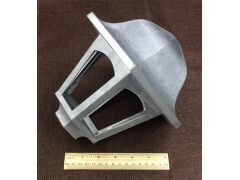 Name: Aluminum Die Casting Lamp Cover For Street Light. Surface Treatment: Electrophoresis and black oil sprayed in order to improve oxidation resistance.